When it comes to strength and sturdiness, iron gates are simply unmatched. This is the reason why people of older times would rely on iron to make gates. Until and unless the scientists come up with a better element to replace iron at an affordable price, you have to bank on this material if you are looking for a security gate that provides extra protection from intruders. When you buy a residential gate, you need to take into account the fact that this object is going to remain outdoors throughout the year. In other words, the product you purchase must be resilient enough to weather the harsh elements of nature as the seasons come and go. This resilience is something that you can find in iron gates, as they are built to survive. To enhance the durability, you can apply a layer of paint which will delay the onset of corrosion. Gates are not only meant to scare off intruders. They should be visually appealing enough to impress the guests that you are entertaining at your home. 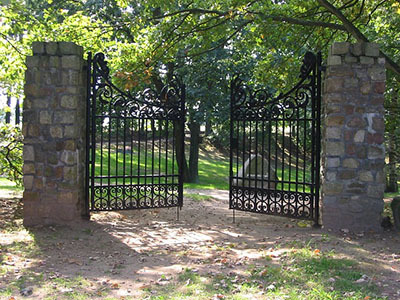 There are different varieties of iron gates that you can find in the market, including the wrought iron gate which contains a tiny amount of carbon. Choose the one that best suits your personal style and the kind of image that you want to portray of your house. If it loses its shine after a few years of usage and starts to malfunction, you can always call our team to have it fixed.